Dealing with acne is a constant uphill battle. And there are times where you’re at your wits end. You have a breakout just days after the last one is gone, and this time it’s worse than before. None of your usual lotions and potions seem to work and you just can’t keep dealing with the discomfort and embarrassment. In situations like that you really need to consider taking on some help in the form of medicated treatment options. This will mean a trip to your doctor, but the good news is that there are quite a few options available. Because blocked pores that lead to acne are aggravated by bacteria, it can be possible that your body is less capable of fighting the bacteria. In the case of very severe outbreaks you have the option of using antibiotic treatments. One of the most common of these is doxycycline. But before you head straight for an appointment with your doctor, just take the time to fully understand what the effects are, including some negatives. You will also learn when it will and will not be recommended by medical doctors. Doxycycline belongs to Tetracycline group of antibiotics. It is generally given to treat moderate to severe forms of acne. It is usually prescribed with some other drug or supplement. Benzoyl peroxide is usually the drug of choice with doxycycline. Retinoic acid is the other most frequently used alternative. In order to avoid the formation of resistant bacteria (as it happens with all anti-biotics), your Derm might switch you to another antibiotic of the same group. They may also prescribe another one altogether. 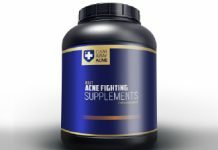 In general, it is considered a safer choice among a variety of other drugs such as accutane for acne treatment. When is Doxycycline Prescribed for Acne? Your acne was non-responsive to topical acne products. Your acne was mild but non-responsive to other drugs. 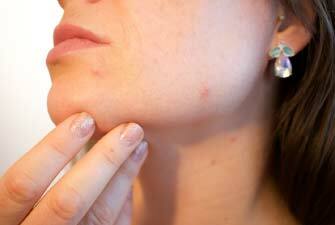 Bacteria play an important role in the formation of inflammatory acne. So, targeting them is an important step in clearing acne breakouts. How Does Doxycycline Work Against Acne? Acne is caused by a series of mishaps happening in your body. First, your sebaceous glands start to secrete excessive amount of sebum (skin’s natural oil). This excess oil, thanks to the presence of dead skin cells and other debris on your hair follicle, finds its way out difficult. This is when your pore is essentially clogged. Now, if this trapped oil inside your hair follicle is accompanied by bacterial accumulation (which inevitably happens), it results in skin inflammation, or essentially a big red pimple. Doxycycline is good at fighting bacteria and this reducing inflammatory acne. However, there’s a caveat. Doxycycline won’t stop excess oil production or won’t treat blemishes caused by clogged pores. That’s where topical retinoid and benzoyl peroxide come into play. These topical medications can be continued for a long time without creating bacterial resistance. Why is Doxycycline Used With Other Drugs? Doxycycline is usually prescribed with benzoyl peroxide or topical retinoid. This combination produces faster and efficient outcome. Doxycycline is used as an oral tablet and thus has systemic effects as well. The combined potency of two drugs will have a better chance of treating acne at a faster pace. 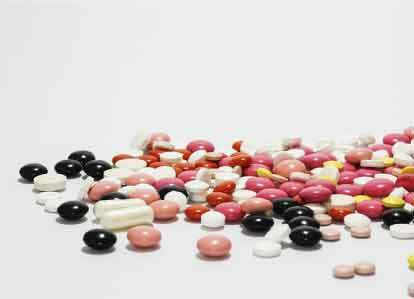 It will also allow the doxycycline dose to be reduced. Like any other antibiotic, the use of doxycycline is associated with the emergence of resistant bacterial strains. It means that if this drug is used for prolonged periods and in higher amounts, then the acne-causing bacteria will develop a natural resistant towards the drug by altering their structure. When doxycycline is used with other medication, the combined action allows the dose of doxycycline to be reduced without losing its efficacy. Once the acne is gone or is in the diminutive stage, the drug can be slowly tapered off while continuing the topical medication. In this way, the emergence resistant bacterial strains can be avoided. If you have a condition where food cannot be effectively passed through your mouth/esophagus. Candidal or any other fungal infection. Expecting a child or planning one. Age less than 8-10 yrs. In case you are allergic to doxycycline. Heart burn-like sensation: Try not to lay down after at least one-hour you’ve taken the dosage. Doing so will not let you put stress on your esophagus, which is the cause of this usual side-effect. It is a prescription-only medication, and you can’t buy it over-the-counter. Rightly so, as it requires careful analysis of your situation before prescription and constant monitoring by an expert during the course. The dose can vary from 50-100mg. It will be in a tablet or capsule form. You will have to pop in the pill once or twice a day. Your skin will be sensitive to the typical sunlight. So, better apply a sunscreen whenever you are going out. Tanning will not be a good idea during this time! Keep in mind that milk and other dairy products cannot be used along the drug. It will only delay its action. Don’t be unrealistic in your approach to skin treatment. It will take time. Be patient. The treatment could go on for months and there will be a careful slow withdrawal. You doctor will check you the recurrence after stopping the drug. For the gastrointestinal (stomach upset, diarrhea etc.) side-effects of the drug, you can take this drug with meals. 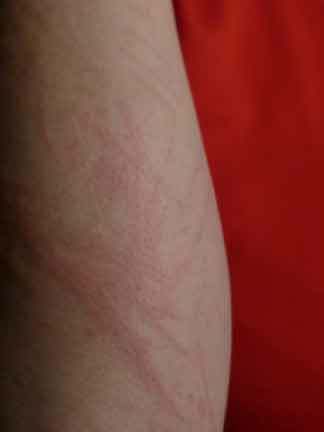 The sunburn type reaction is rare with doxycycline but it can occur. It is usually experienced with high dosage. If it occurs, it is expected to get better around 10-14 days or a month. For prevention, use broad spectrum sunscreen during its use. While popping a pill, take a glass full of water and stay erect in order to avoid “pill esophagitis”. It is a condition where your throat might feel some degree of irritation as the drug passes through it. This is an important one: If you are taking antacids, anti-convulsants, birth control pills, or have gone through any other vaccination, do not forget to mention this to your doctor. As it might reduce the effectiveness of the drug. What has been your experience with doxycycline? Did it clear your acne? Did you encounter any downsides of doxycycline for acne? Please share your thoughts in the comments below! For oral medications (other than OTCs), I always recommend to talk with a dermatologist. That’s the only best way to get advice on your matter.